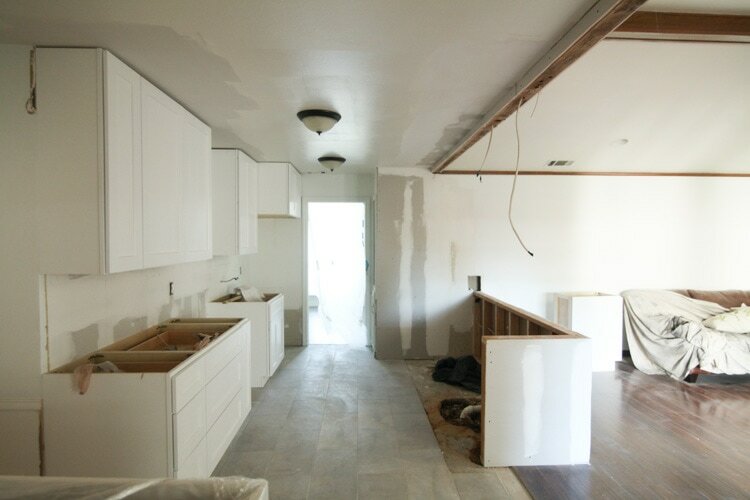 Last we left off with the kitchen remodeling chronicles, we had finally gutted everything and were starting completely over with a nice, clean blank space (which in itself was already a massive improvement!). 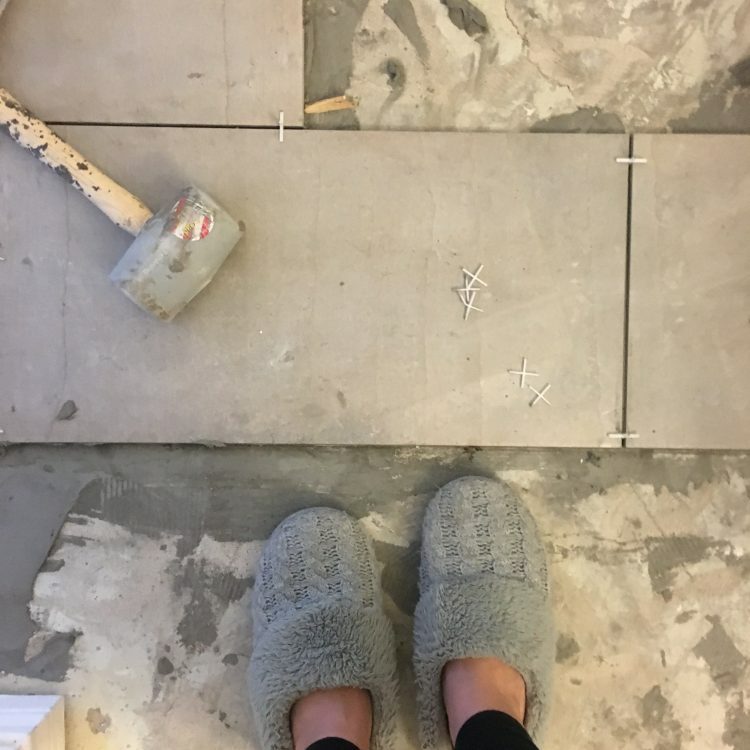 The next step was picking flooring and cabinets, which ended up being a lot easier than I thought it would be! 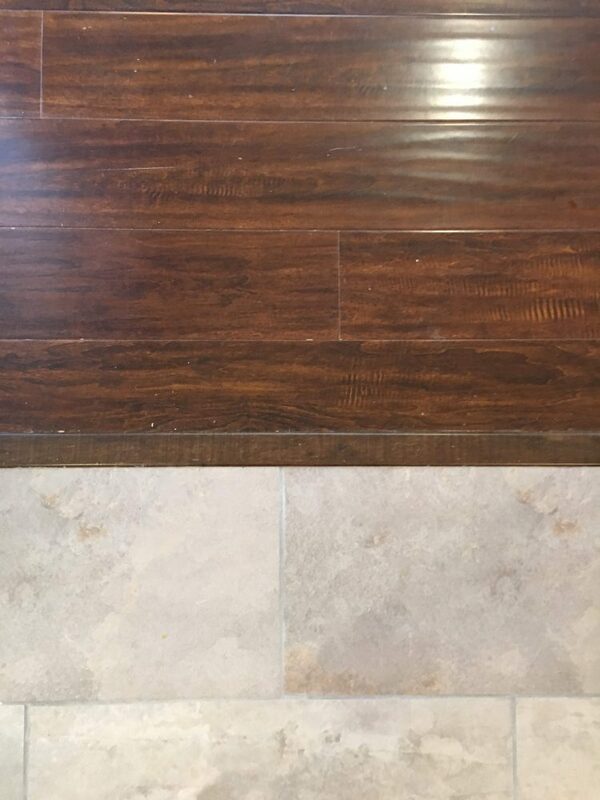 For flooring, the biggest challenge we had was that the floor would need to coordinate with 2 other kinds of flooring. 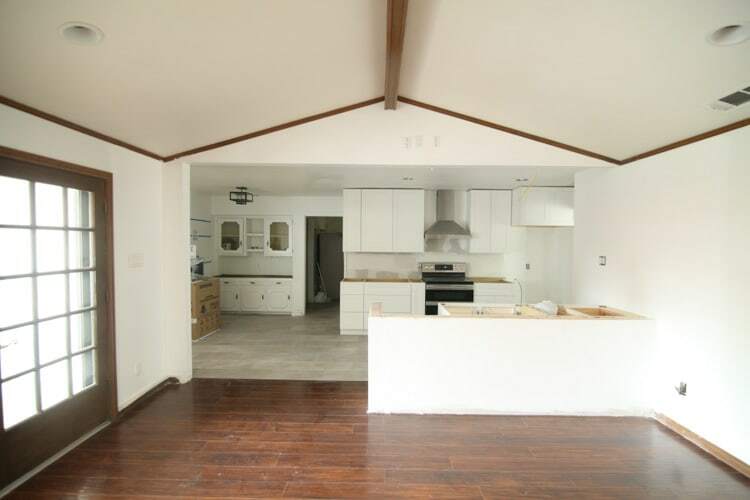 We have an espresso laminate floor in our living room and the piano room which both border with the kitchen. 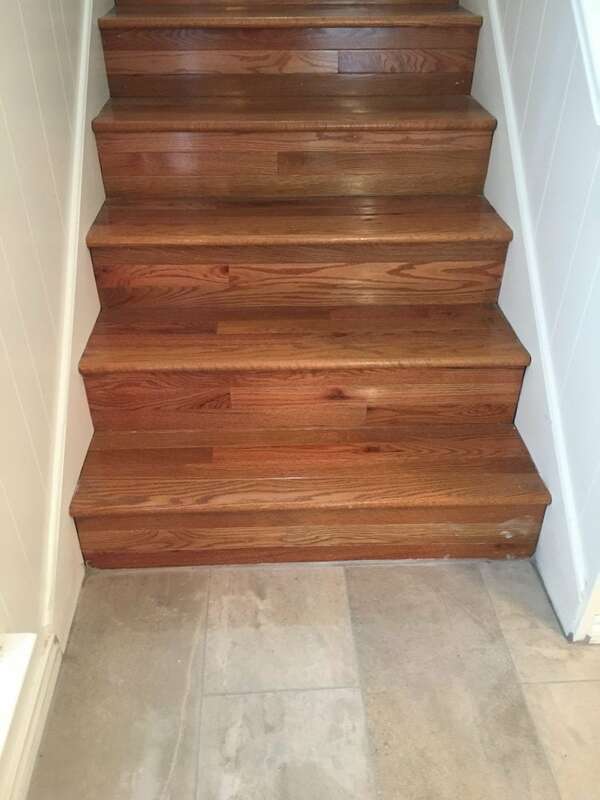 We also have hardwoods with orange tones that border the kitchen in the stairwell. To keep costs down, we went to a local surplus store to choose tile. Luckily they had plenty of options we really liked. 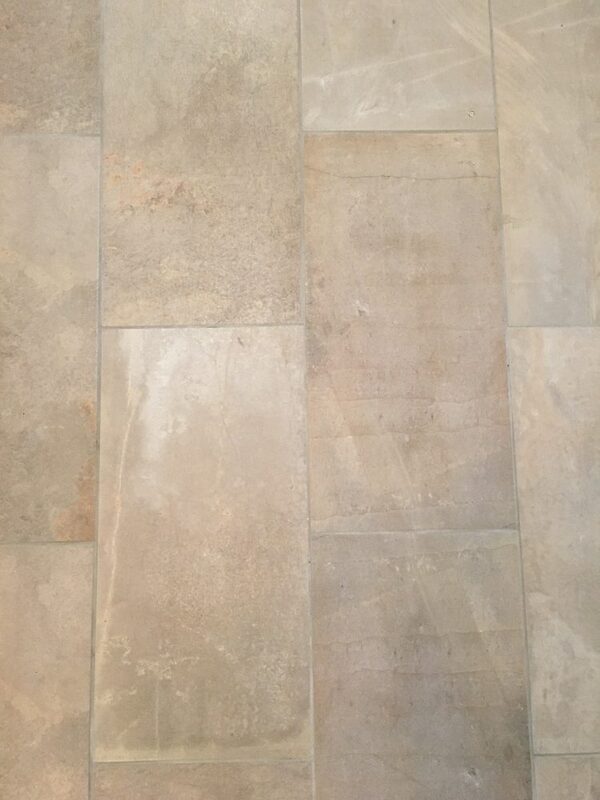 We took 3 samples home and picked the one that went best with the floors in the adjoining room. Here was our winner! I love the gray, but it also has orange and brown undertones that help it flow well with the other flooring, see? 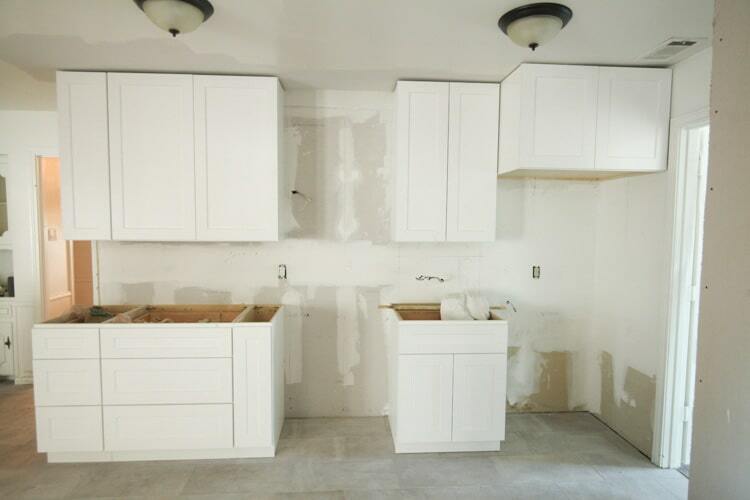 Once the flooring was in, we could move onto cabinets. After shopping around, we went with a local cabinet guy who Scott’s dad had used previously and been happy with. 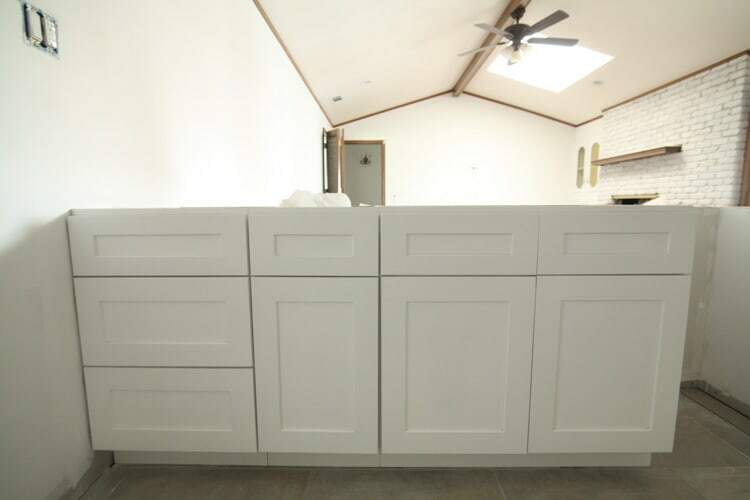 The cabinets are dovetail and really sturdy, and they were also extremely affordable for what you get. 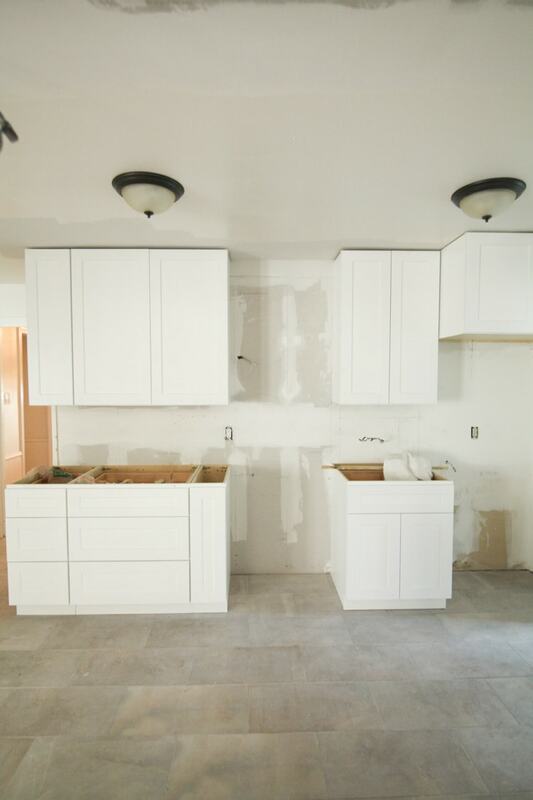 I went back and forth for a bit trying to decide if I wanted white cabinets or gray, and in the end, I went with my gut, which said white—so glad! We love them so much—we seriously couldn’t be happier! We ended up pushing the row of cabinets that make the island out 2 additional feet so the kitchen walkway wasn’t so tight. Our living room is pretty big, so we had a few feet to spare. I’m really happy with it! 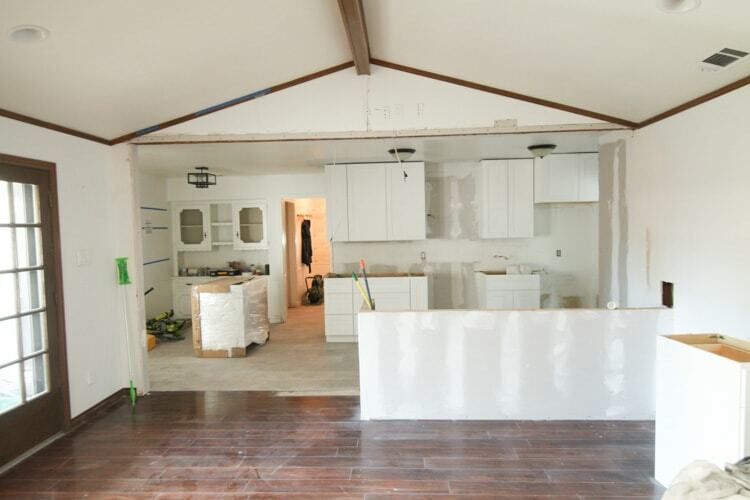 The kitchen is looking lovely! Can’t wait to see the photos of it finished. Looks like lots of work! It’s going to be fantastic. 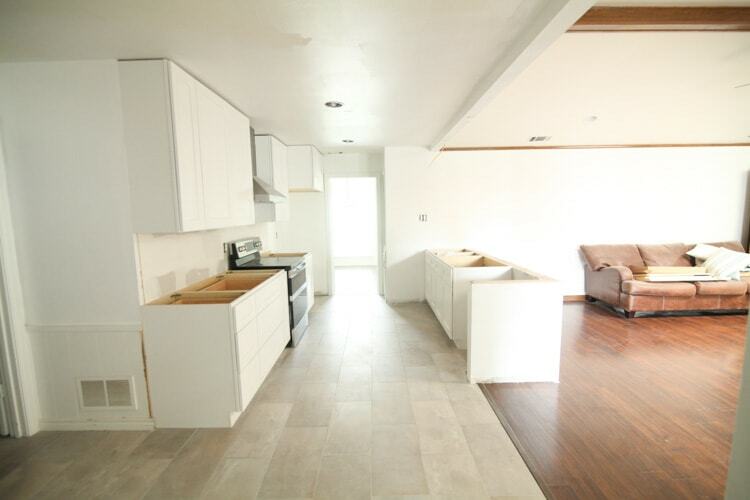 I love the layout of the kitchen. It will be a joy to work and gather in that space.